1. Had a guest priest yesterday - he gave a fabulous sermon. Nice to know he's pastor at the parish that serves a large university in our area. 2. My human trafficking monograph is chugging along - got the first proofs. Now, it's all proof-reading, checking for errors, etc. Oh, so close! 3. 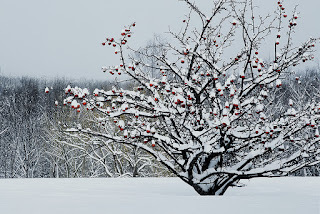 Winter is here with a vengeance! Last week we had an Alberta Clipper come through. It was a good time to hunker down with a warm blanket, tea and a book. 4. 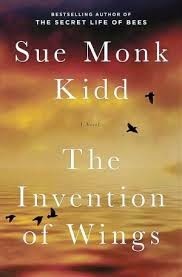 Speaking of reading, I just finished "The Invention of Wings" from Sue Monk Kidd. Terrific - fictionalized account of Angelina and Sarah Grimke', early abolitionists from a slave-owning South Carolina family. 5. Hubby and I are on an organization kick. Have to see if we can keep it up past January. 6. Using essential oils in my protein shakes. My two faves so far: lemon oil in blueberry smoothie, and peppermint in chocolate. Yummy!